As part of its ongoing commitment to sustainability, Michels Stone is pursuing innovative ways to develop products. When selecting and sorting material, the company works to utilize leftover stone that may not have fit perfectly into one of its established product categories. 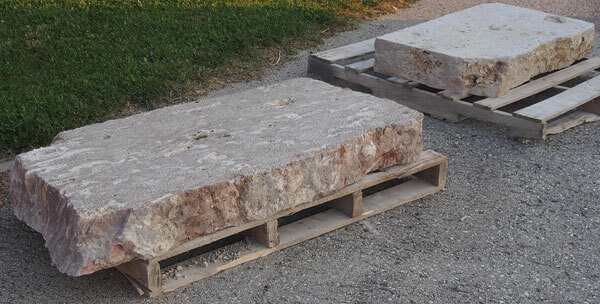 The team recently found a way to repurpose some smaller limestone blocks into beautiful, naturally shaped steps. Rather than converting this stone into an aggregate, Michels opted to saw the pieces into 6-inch-thick stair sections that can be installed quickly within any setting. The steps are rich with character and look as though Mother Nature set them in place millions of years ago. Available in chocolate or caramel color, the steps feature a bush hammered finish for added traction under foot. Contact one of Michels’ knowledgeable staff members for more information. Lawrence, Kan.-based PROSOCO, a custom formulator of specialty cleaners and protective treatments for masonry and concrete, has produced a short video on the sustainability of masonry. Taking a page directly from the “How to Effectively Combine Aesthetics and Function” manual, some innovative, new masonry products have successfully addressed industry concerns about moisture damage with traditional siding products. A few of these concrete products blend the classic and elegant craftsmanship of European design with patented technology to make a product that not only looks great, but also is environmentally conscious. The U.S. Green Building Council (USGBC) Board of Directors announced that USGBC’s Chief Operating Officer Mahesh Ramanujam has been named incoming Chief Executive Officer, and will move into the role after Rick Fedrizzi, the co-founder of USGBC and current CEO, steps down at the end of 2016.